I grew a garden for the first time this year (yay! ), and I have butternut squash coming out the wazoo over here! 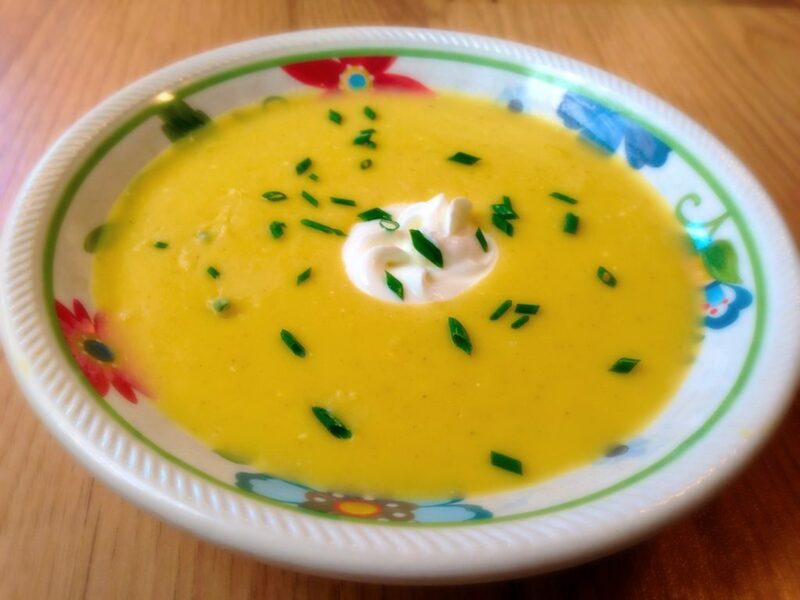 My favorite thing to do with butternut squash is make this amazing creamy butternut squash soup that involves cream cheese– which once you taste it in this soup, you will wonder how you ever lived with out it. It also has a secret ingredient- (shhhh- it’s cumin) that adds another layer of flavor that I think changes everything. And, of course, there is butter involved because, let’s face it, squash would be nothing without butter. So, if you are looking for a low-fat option, this probably isn’t it. But you can cut down on all the high fat items if you want to, and it will still taste pretty darn good. 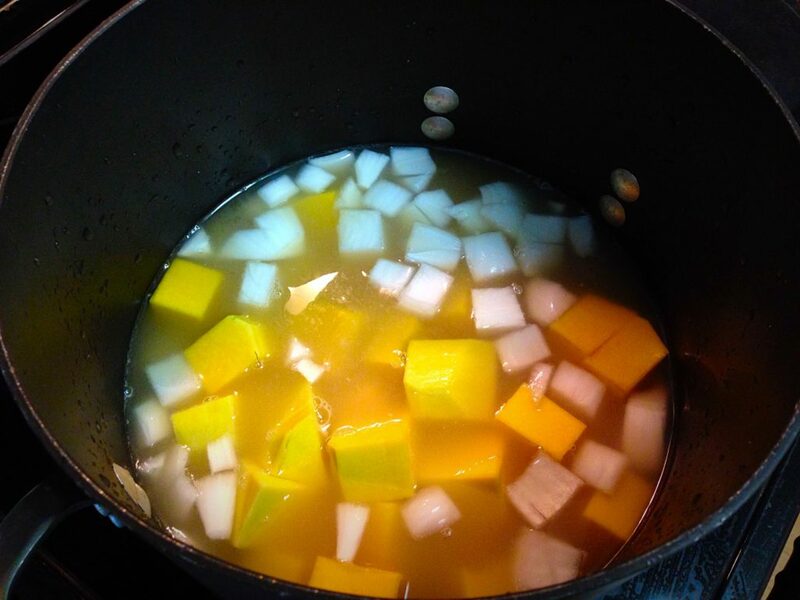 Remove the peel and cut a medium-to-large butternut squash into large cubes. Add 64. oz of chicken broth to a large pot and bring to a boil. Add butternut squash and onion to the broth. 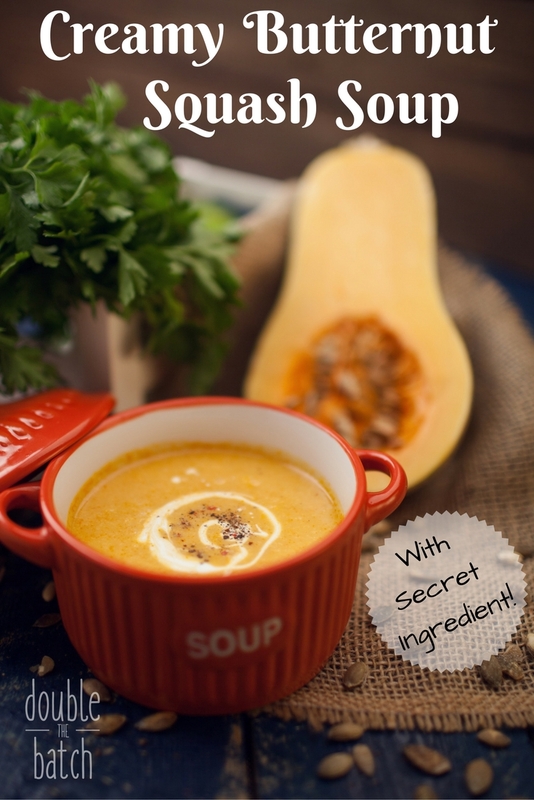 Ladle the cooked squash into your blender or food processor. Whatever broth is ladled in with it will be the right amount. 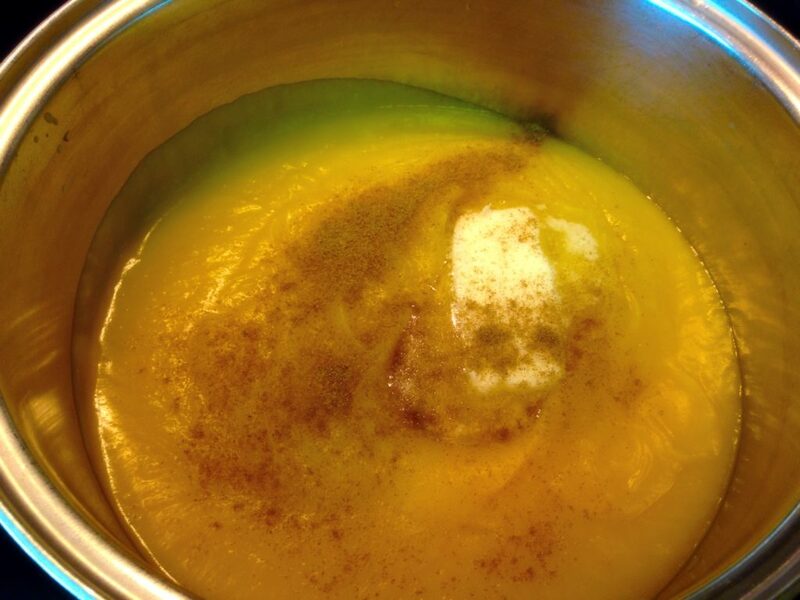 Puree the squash/onion mixture to the consistency you desire. Add back into an empty pot and heat to medium. Add butter, salt, brown sugar, and cumin. Soften cream cheese and add it to the pot. This a very forgiving recipe- you can add a little more or a little less of everything depending on your preference. This is just what works best for me. Enjoy!